Tiverton Town Twinning Association was formed to promote friendship and understanding between Tiverton and its two twin towns of Hofheim, in Germany and Chinon in France. Both Hofheim and Chinon are twinned with each other, hence a triangular relationship. The association has a committee which organises affairs and official visits are organised in alternate years. Visitors stay in the home of twinners in the host country at no cost on a reciprocal basis. A programme of activities and entertainment is provided for the guests. Costs are generally met by both the Tiverton Town Twinning Assocation and each individual who goes on a visit. Official gifts for the people of Chinon and Hofheim are partly funded by the Town Council and to contribute towards entertaining their visitors. However a majority of funding is raised by events held by the association and organised by the committee. Travelling expenses are paid by visitors and and civic representatives. Membership is open to anyone who lives in or near to Tiverton in Devon. Chinon straddles the River Vienne just a few miles east of where it joins the River Loire and is situated approximately 25 miles south west of Tours. Approaching the town by road, on the hill, one sees the inspiring château Chinon which was built in 954. Henry Plantagenet lived there and it is thought that Richard the Lionheart probably died there. Members of the Knoghts Templar were imprisoned there awaiting trial and execution. The town has charming medieval streets with half-timbered and sculpted houses. The town is synonymous with Joan of Arc. It was from Chinon that Joan set out on her ill-fated journey. The twinning charter between Tiverton and Chinon , a town of 8,450 inhabitants located in the Loire Valley, was officially signed in 1973 . However, these bonds of friendship between the two municipalities have been initiated in 1971 by language teachers from both cities, in an open class at the European culture. To school exchanges have added the cultural encounters s between the inhabitants. Particular attention was paid to the travel of young residents in May (Training Centre for autonomy and social inclusion for adults with mobility impairments). Today, essentially based on the discovery of cultures and lifestyles , the actions of the Twinning Committee of Tiverton and Chinon continue to maintain the friendship between Tiverton and residents of Chinon, which celebrates friendship 40 years in 2013. Approaching the town by road, on the hill, one sees the inspiring château Chinon which was built in 954. Henry Plantagenet lived there and it is thought that Richard the Lionheart probably died there. Members of the Knights Templar were imprisoned there awaiting trial and execution. Hofheim, a small suburb of Frankfurt, has been twinned with Tiverton since 1980 and with Chinon since1967. 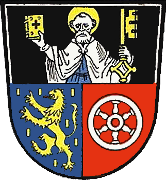 Hofheim am Taunus (as it is officially known) is the administrative centre of the main-Taunus district which is in the southern part of the state of Hesse. The first thing many people notice about Hofheim is its historic old town, with its carefully restored half-timbered homes, street cafes and shops. But Hofheim is also very centrally located in the heart of the Rhein Main region, with excellent transportation connections. Indeed, it takes only minutes to reach the Frankfurt Airport, downtown Frankfurt or the Internationale Schule Frankfurt ISF. Hofheim also has great recreational assets with a wide range of sport and leisure facilities, such as an 18-hole golf course Hof Hausen and the region’s most modern waterpark, Rhein-Main Therme. Hofheim (officially known as Hofheim am Taunus) is a Frankfurt suburb and the administrative center of the Main-Taunus district, in the south of the state of Hesse. The population of the town at the end of 2006 was 41,737; its geographical position is 50°6′N 8°25′E. The town was first mentioned in 1262 as Hoveheim. The town is located on the south side of the Taunus range, 17 km west of downtown Frankfurt and 17 km east of both downtown Wiesbaden and Mainz, Frankfurt airport is 12 km to the south. Hofheim is provided with many local pubs, secondary schools and several facilities for further education. The town also hosts one of the biggest pools (the Rhein Main Therme) in the Frankfurt metropolitan area, located on the northern outskirts of the town. Hofheim is located in one of the fastest growing regions in Germany in terms of population and also in regard to economical productivity. The unemployment is the second lowest in the state of Hesse and one of the lowest in Germany. A highlight is the annual 'Waeldchestag' which is celebrated the week after Corpus Christi and is a local public holiday with schools being closed from 11 AM onwards. The celebration comprises traditional local customs and some heavy drinking.